Here are a few happy customers and locals familiar with my modelling and painting skills. I have asked them to leave a few comments about my skills, models and professionalism. “Fast and very professional. Bryan puts as much of himself in his modeling work as he has in his game design and his writing over the years. Very pleased!” — Bobby C.
“Bryan has done a few projects for me. My favorite is the Rough Riders riding Lions. I provided all the parts on sprue, and he returned a fully completed squad to me. They’re definitely the talk of the store when they hit the table. He recently painted up a Blood Angel turned Chaos Spawn. It hasn’t been fielded yet, but I can’t wait to see it next the rest of the army.” – Steve B. “I came to Bryan with an idea. I wanted a tortured Slaanesh-y Daemon Prince and needed to ensure it was modelled with wings for the Demonic Flight special ability. I was somewhat inspired by the idea of “suspension” fetishists… people who hang from hooks for pleasure or meditation. Bryan took my idea and RAN with it, the winged Daemonettes tugging along the screaming Daemon are unlike anything I have ever seen. I get the most amazing compliments on it every time it hits the table. There are great painters and modellers out there. Not only is Bryan among the best, but his sheer creativity cannot be surpassed.” –Sarah S.
“I’ve known Bryan for a fairly long time and I’ve often commented on how much I loved his painting and conversion work, so when Bryan told me he was starting to offer his services for a small fee I jumped at the chance! Bryan did a custom battle wagon from parts I provided and what I got back was a great big super Orky piece of heaven. 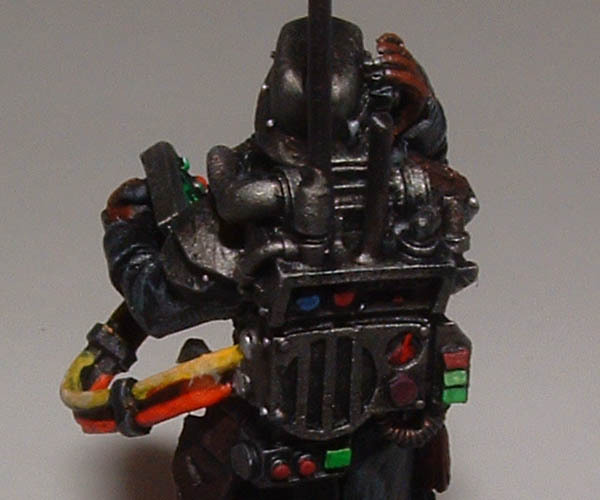 So whether its for painting service or conversions, Bryan is top notch and his prices are well below what you might pay someone else on the web for the same work” — Eric H.
“Excellent communication, excellent transaction, excellently painted miniatures, a very happy customer, we’ll definitely do business again. 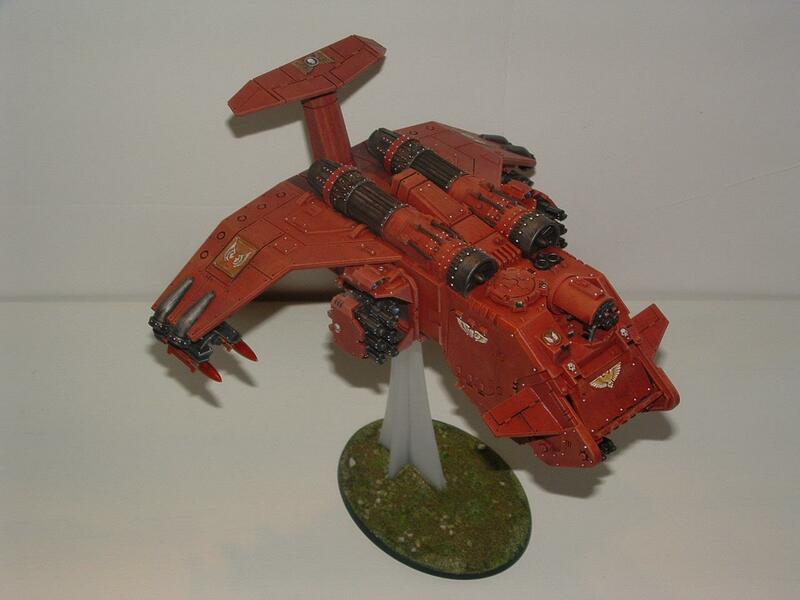 Thanks a lot Bryan!”– Georgios P.
“Bryan did an awesome job with my Iron Hands Stormraven. The Admech tanks he did for me were incredible also. From the green stuff to the use of plasticard everything turned out to be top notch conversions. Would have Bryan do conversion work again for me in a heartbeat.”–Seth L.
“Bryan Steele’s work is EXCELLENT. 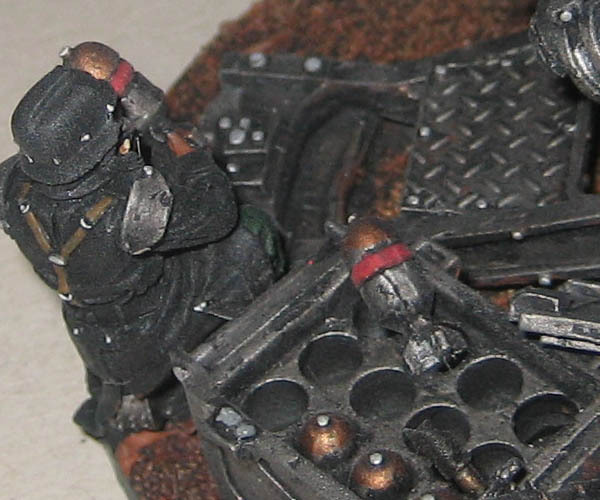 Having only seen my army once or twice, he was able to make a vague concept based on a funny image into a unit which seamlessly was integrated into my army. The details were amazing and the painting top-notch. His prices consistently beat craftsman of far lower standards of quality. Suffice to say, I know exactly where I will get my difficult customizations done in the future.”–Nick M.
“I’ve commissioned Bryan Steele to sculpt two 28mm miniatures for my new game Kaiju Kaos – The Miniatures Game so far and he exceeded my expectations both times. He delivers quality craftsmanship, fast turn-around, and open communication throughout the process. 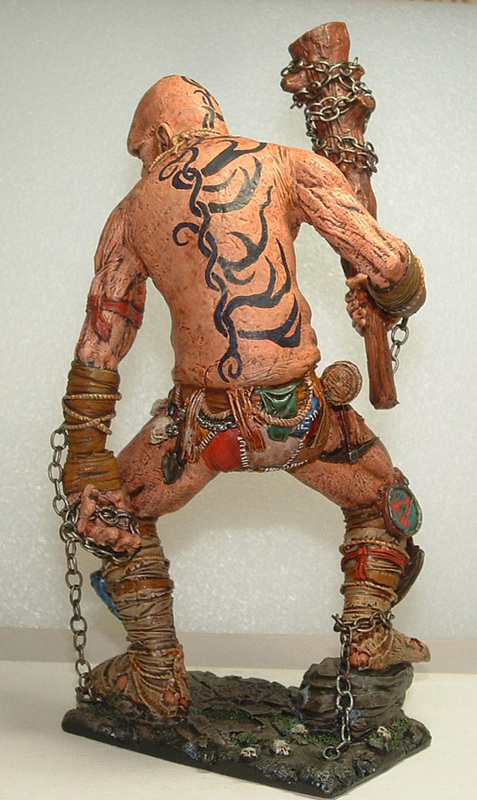 I highly recomment Steele as a sculptor and will be using him again really soon.“–Bryan B.
be a return customer. Can’t wait to get these models on the table top.“–Michael H.
“Never before have I dealt with a more professional and honest artist in the gaming industry. No wonder to me why so many award-winning companies have hired Bryan Steele in the past.“–Matt S.
“I’m an avid fantasy table top role player. While I have often used plastic mini’s for monsters and general fights. I needed something extra for my main villains of a long running campaign. I knew exactly who to turn to help elevate my game and give my villains some real WOW! factor, Bryan Steele. At first I had Bryan just paint the mini’s according to the pictures in my books which he did with excellent precision. When they arrived in the mail I was stunned not only how fast they had arrived, but how he had given me perfect miniature replicas of the images I sent him. Bryan’s mini’s are so impressive that even my players have started asking about getting their own player characters done for our game. Now I’m having Bryan create custom paint jobs and unique characters for my games. I can’t imagine going back to playing with plastic boring mini’s ever again! “I would highly recommend Bryan and Ursa’s Den to anyone looking for a miniature to elevate their game with amazing detail and WOW factor.“–Heather K.
“I’ve been collecting Skaven since the release of their latest book, but my full time job, full time wife and part time school have been taking up a lot of my time. After playing a rather one dimensional All-Nurgle Daemon army for the last 3 years, I’ve been anxious to bring the flexibility of the rats to some tournaments. 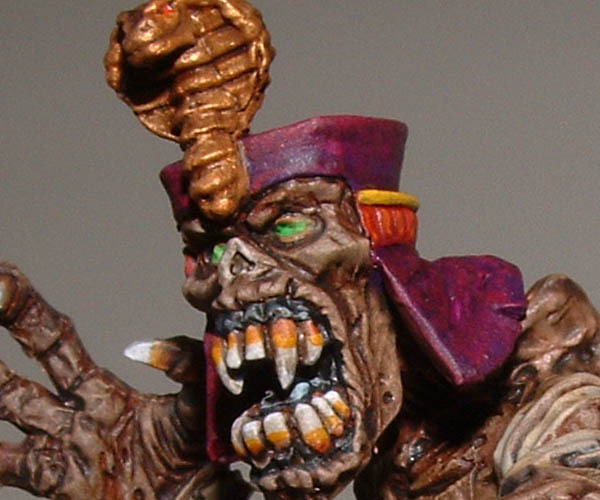 The issue has been getting the horde of models painted. When trying to find a painting service to tackle the project, I remembered hearing about Ursa’s Den from your interview with Bryan on the show as well as the numerous commercials. I got quotes from several places, and Bryan’s was by far the best. He was able to take my order of 80 Slaves, 80 Clan Rats, 20 Storm Vermin and 8 Rat Ogres and gave me an extremely reasonable timeline. When I realized I would need more models to attend the 3,000 point Brawler Bash V, he took on the task of an additional 15 Storm Vermin and 30 Plague monks without even shifting the end date. After getting the models back, I can’t stress enough how pleased I am with the quality for the price. Bryan was able to work within my budget and timeline to produce some fantastic models and save me countless mind numbing hours of tedious rodent painting. By taking care of the masses, Bryan freed up my limited hobby time to paint the fun characters and larger models. If you’ve got a project that seems like it will never get done, get in touch with Ursa’s Den. We’ve all heard the commercials and I wanted to let everyone know he’s definitely worth it.”–Joel B. “This is a shout out for Bryan Steele from Ursa’s Den. First off I would like to thank bryan for all his work on my tomb kings commission. Bryan was most helpful with the planning process such as color choice and theme. He was always willing to bounce ideas off of and the many scratch build models that were made are stunning and right from the book descriptions. I will be buying from his again. And I encourage any one that is on the fence about getting work done to try ursses den. You will not be disappointed.“–Gordon S.